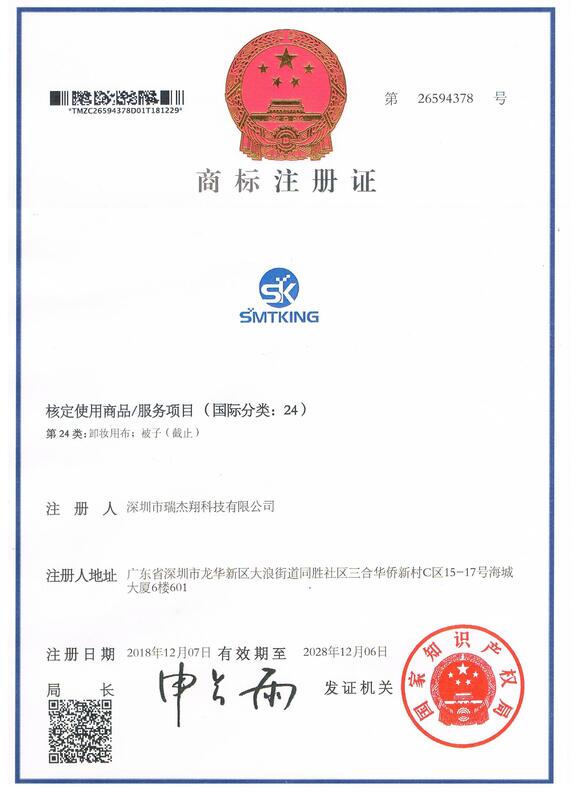 Company Overview - Shenzhen Smtking Technology Co., Ltd.
3YRSShenzhen Smtking Technology Co., Ltd.
SHENZHEN SMTKING TECHNOLOGY CO., LTD established 2010, which own Researching, producing and selling ,specializing in global Electronic industry. a large SMT consumable products and ESD material Supplier, we have Successfully researched and developed and sold the below products: SMT splice tape , SMT splice tool,SMT stencil wiper, SMT nozzle, SMT AI spare parts, SMT filter, SMT feeder and spare parts, PCB drill bit, PCB milling cutter ,PCB cards and magazine rack, high temperature tape, all kinds of Antistatic Products,Gloves and Finger cots etc. co-operated with many famous Companies from different country,our mainly sell to Southeast Asia market, south America and Europe market . we have built our own factory and partner . In order to assure the quality of goods, we adopt strict processes in material purchasing and products producing. Since its establishment, We take the market as our direction and science as our guidance. Company become highly precise enterprise quickly by development and the high and new technology as the core service. Company sticking to the operation purpose of" genuine materials without using finesse" and the operation conception of "endless technical improvement and limitless quality upgrading", absorbing scientific and technological talents, improving management system, creating a spirit of employees "forging ahead with innovation and going through hardships", relying on powerful strength, exquisite technology, advanced technology and equipment ,quality product and good reputation and proding fine services for the customers at home and abroad with all the heart,Company hope sincerely that establish faithful and stable relations of cooperation .